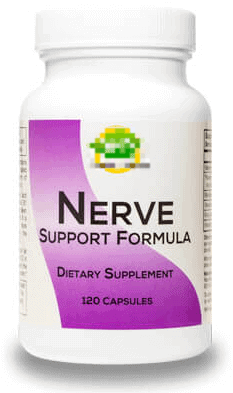 Nerve Support Formula Review: Does Real Health Products LLC Actually Know How To Help Relieve Neuropathy Pain? 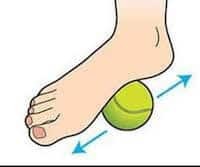 Nerve Support Formula is a neuropathy supplement designed to not just help patients with neuropathy but to improve the entire nervous system and supplement those at risk of nerve degeneration too. It is a nutritional supplement that relies heavily on B vitamin research for their results. UPDATE: We no longer recommend Nerve Support Formula because they recently changed a key ingredient in their formula according to customer reviews. Unlike similar products, this website is full of actual information on the ingredients in their product. 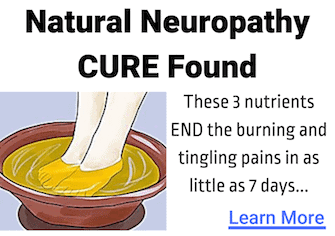 Sure, there's the typical sales third-party review pitch at the top, but the rest is genuine information about how each ingredient in the supplement works on the body and can help with neuropathy; it's obvious they've done their research. Their products are manufactured in the US and have an A rating from the Natural Products Association Good Manufacturing Practices program and they have been GMP registered for over a decade. This company has been around a while unlike many internet-based supplement companies which disappear within a year or two. However, there is a clear disclaimer about the efficacy of the product on their landing page whereby they will tell you that any claims about the ingredients are for the clinical studies only and not their product specifically. Part of what sets this company apart is that they have live phone and email support with actual people rather than computers and automated replies. Real Health Products is located at: 620 N. Brand Blvd., Suite 201, Glendale, CA 91203. According to research, much nerve damage happens because of a B vitamin deficiency. The product is high in both B12 and B1, which are thought to support healthy nerve function and a diet that is either not rich enough in these or which needs additional support for nerve health. The reason that this supplement is better than a normal multi-B complex is because it is in a more bioavailable form which the body can use easier. It also contains other B vitamins which help metabolize the others and provide additional support for the body to repair damaged nerves. Vitamin D has also had some tentative research that it may be a neuroprotectant which prevents further nerve degeneration. B12 also helps increase the amount of the other B vitamins available to the body in the blood stream, thereby increasing their effectiveness without any toxic side effects even when the dose is very high. Nerve Support Formula is made up of a variety of B vitamins. These B vitamins are B1, B2, B6, and B12. B12 has also been shown to be good for helping mood swings while B2 is helpful for metabolic issues and likely helps with metabolizing the other vitamins. 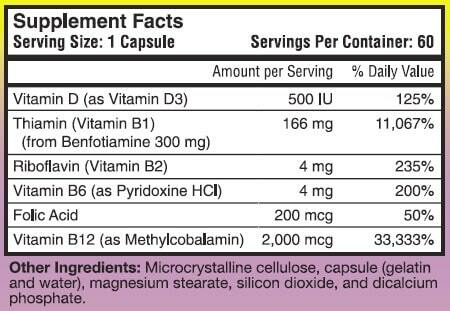 The supplement also contains vitamin D and folic acid. The vitamin D is D3 which is also not vegetarian. There are some other ingredients which do not help the product's effectiveness. These are cellulose (likely to “bulk” the B vitamins to make them digestible), gelatin capsules (not vegetarian friendly), magnesium stearate (a salt that is used as a filler and not a good source of magnesium or anything else), dicalcium phosphate (a calcium supplement used to bind ingredients together), and silicon dioxide ( also known as quartz and which improves density). Supposedly the cellulose and silicon dioxide have since been removed, but according to the company's website, they are still listed under product ingredients. As you can see, there are chemical elements in this supplement, something that most other manufacturers try and avoid using. However, they do claim to be non-GMO, and made in an FDA-registered facility which improves the chances that the actual ingredients are legitimate. As with a lot of supplements the main complaint is digestive issues. The most common side effects are severe indigestion and gas. While B vitamins themselves rarely cause any side effects, high doses of B2 cause an increase in urine and the potential for diarrhea and stomach upset. The most common complaint is that Nerve Support Formula was recently changed to include Quatrefolic® rather than the previous folic acid. The difference has changed the taste and the effectiveness according to customers. However, this has since been changed back so it's important to check the version you are ordering to make sure you get the folic acid version. The company is reluctant to refund and will push to make you buy/use a full 90-day supply before giving a refund. You MUST send the bottle back to them or they will not refund. If you buy through their phone program or website. they use aggressive sales tactics to make you try and buy more. If you don't sign up, they continue to mail you frequently with sales fliers trying to get you to. As with all supplements the reviews are pretty mixed. There are slightly more than half which are positive and recommend the product, while others have admitted that though their first response was positive it has since stopped working or the improvements in Nerve Support Formula which the company made have made it less effective for them. The average reviewer does admit they have taken the supplement for several weeks to determine effectiveness. Another common comment is the pushy sales tactics of the company. Many customers feel that if the company was less pushy they would be more inclined to buy but having been chased so much they'd rather go elsewhere. Like many companies, they offer the standard guarantee of 100% money back minus the shipping costs. You can get a refund for up to 3 bottles purchased with your initial purchase for any reason. This is for your initial purchase only and additional or reorders will not be refunded. Refunds are not given unless the bottles are returned, regardless of whether they have been used or are empty. Refunds may take up to 30 days, which is where some customers have issues because they are not prompt and will often take the full 30 days to show up. If you have signed up for the auto ship program you can only get a refund on your last bottle. If any bottle is damaged, then the company will replace it within 5 days free of charge, but you must return the damaged bottle in the packaging provided. Nerve Support Formula seems like a well-backed, and respected supplement. The company has certainly been around longer than most others combined and the fact that they are willing to accept and reverse changes to their product based on customer feedback is a good sign about the company's ethics. However, with the supplement being little more than a B vitamin there's a lot missing from it and it can hardly be considered complete. In fact, several reviews mention using this as only part of a nerve supplement regiment and using this in addition to other products rather than a standalone. The company website has a bottle of 120 capsules for $44.20 and this is the same price at Amazon. It's also possible to call them and order over the phone if you have questions or concerns before purchasing. Uniquely, this company also takes checks by mail and you can mail a check or money order directly to their Glendale address. Although the use of B vitamins as a neuro supplement is pretty common, the fact that this is one of the few supplements with chemical additives is definitely cause for pause. Almost no other supplements need them, and the fact that the company is playing around the with the ingredients suggests in our opinion not that they're looking for a “better” formula, but likely one which is cheaper to produce. It's understandable you might want to look elsewhere since you can't guarantee from one bottle to the next that you're getting the same supplement. 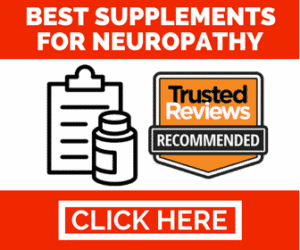 Nerve Renew contains the exact same B vitamins but also contains several herbal additions as well which have been shown to help with neuropathy, making it a much more complete supplement. 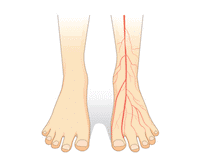 In addition to this they also have ALA, which has also been linked to improvements in neuropathy.